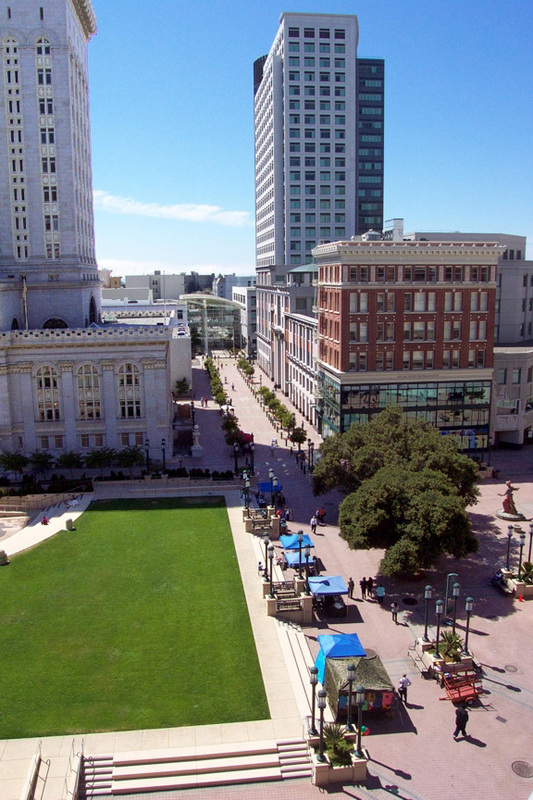 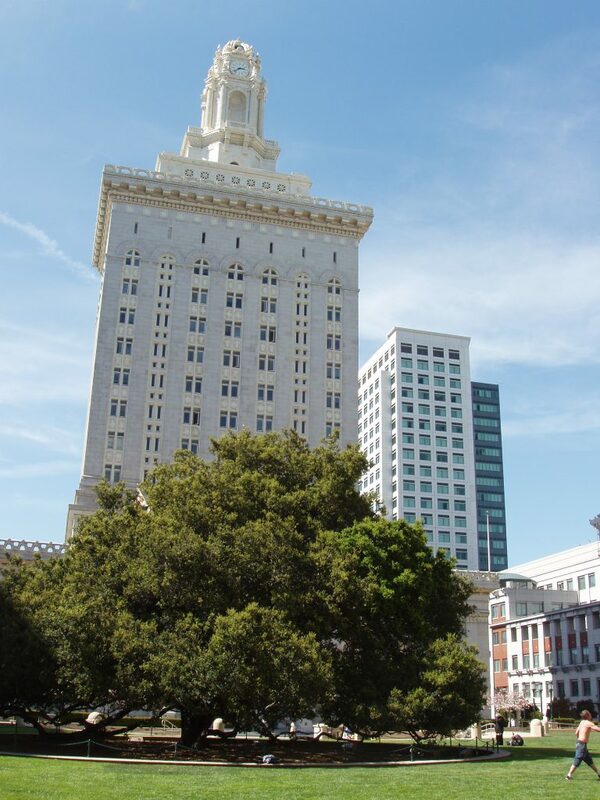 To support a major Civic Center expansion in Oakland, PGAdesign was chosen to modify a decade-old plan for City Hall Plaza. 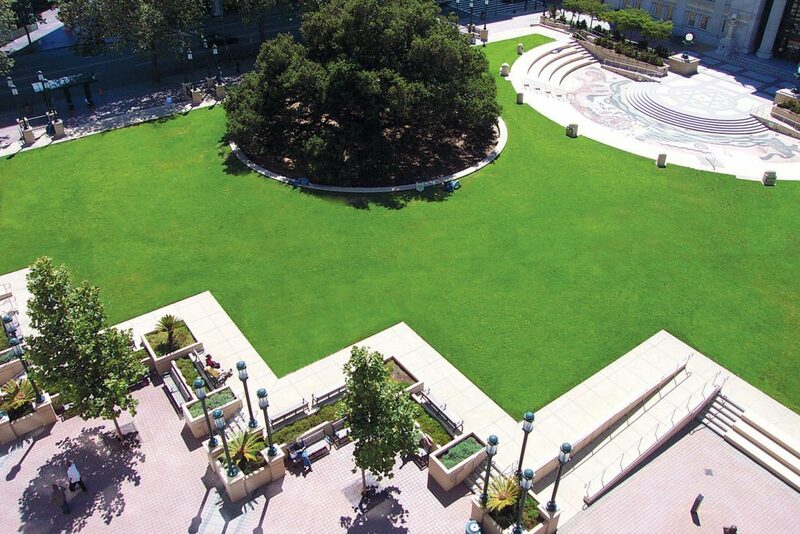 Our recommendations not only protected a landmark live oak planted by Jack London’s widow 80 years earlier, but also saved two other oaks — improving their vigor through special measures developed to protect their roots. 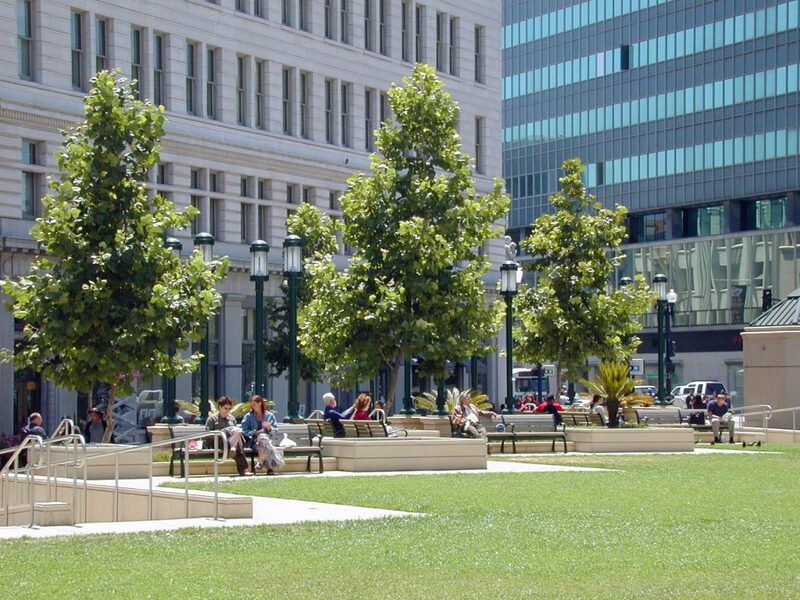 PGAdesign gathered extensive public input to satisfy historic, community, and practical requirements with innovative design solutions that also preserved a stand of sycamores previously slated for removal. 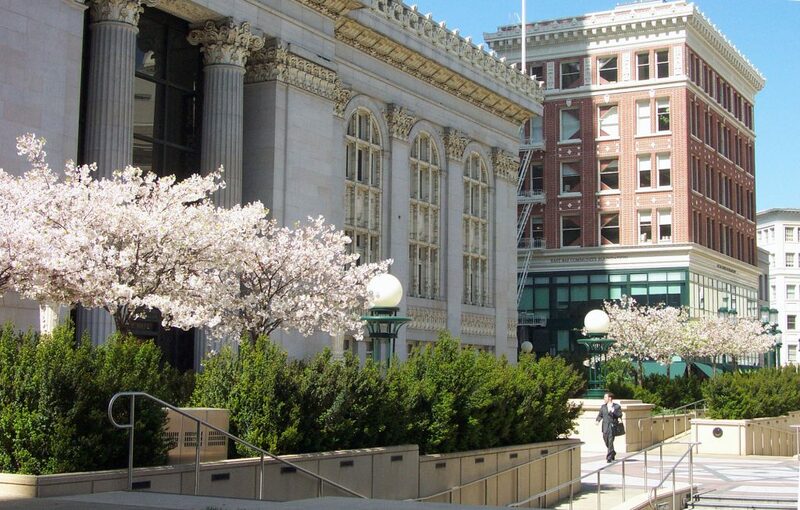 Akebono cherry trees were placed in front of City Hall to honor Mr. Ogawa’s public service. 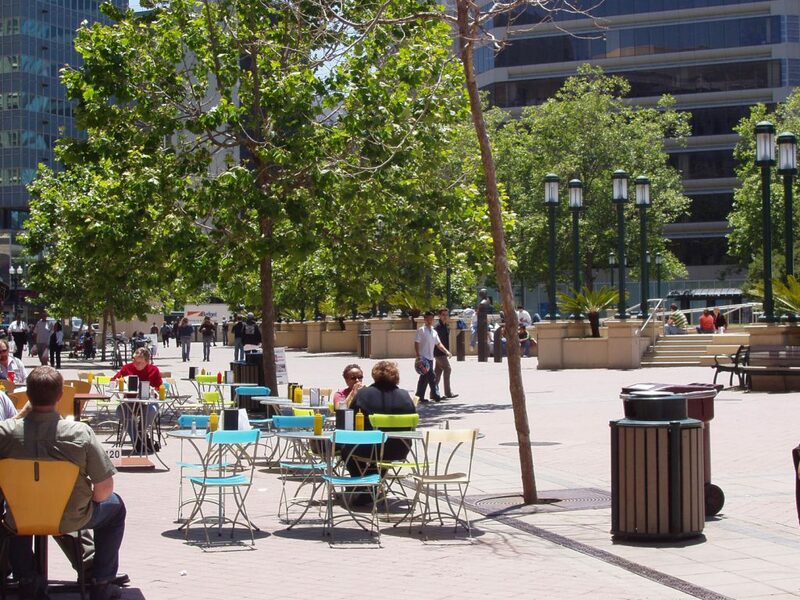 Other contextually appropriate plantings were chosen for their ability to withstand heavy pedestrian activity. 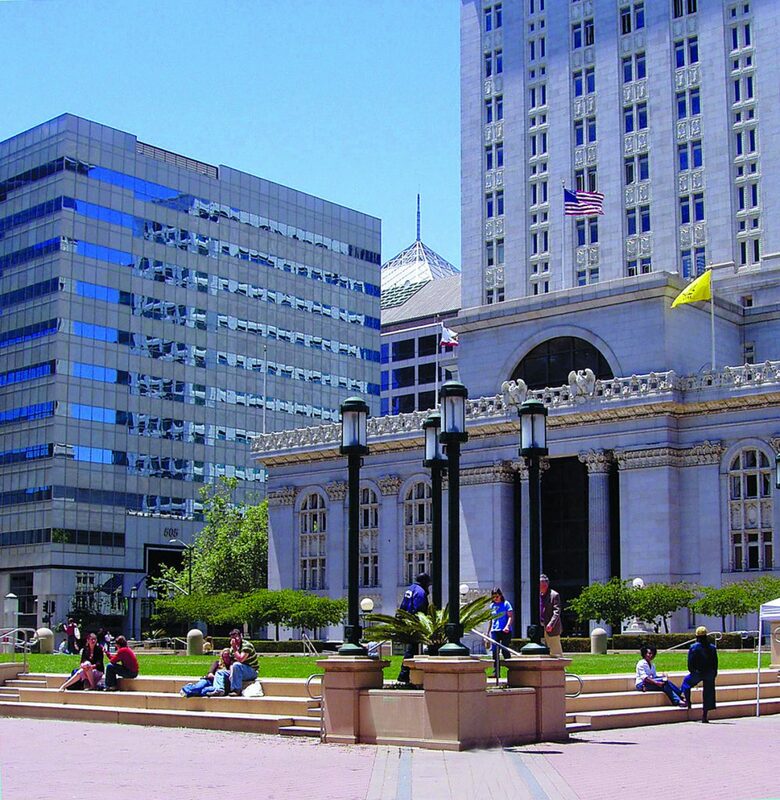 Today the Plaza provides a beautiful and enduring setting for social, cultural, and civic activities.